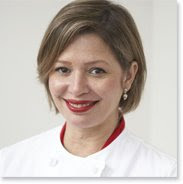 FCI Alum, cookbook author, and TV cooking show host Daisy Martinez (Classic Culinary Arts '99) appeared on MSNBC's Today Show on March 10, 2009. Daisy performed a cooking demo and shared her recipe for grilled skirt steak. Get the recipe and view footage of her appearance on MSNBC.com.